The latest installment in the dinosaur-disaster series stars charming Chris Pratt in a preposterous and entertaining story. “These people, they never learn,” murmurs a minor character in “Jurassic World,” and if I’d had a glass I’d have raised it. 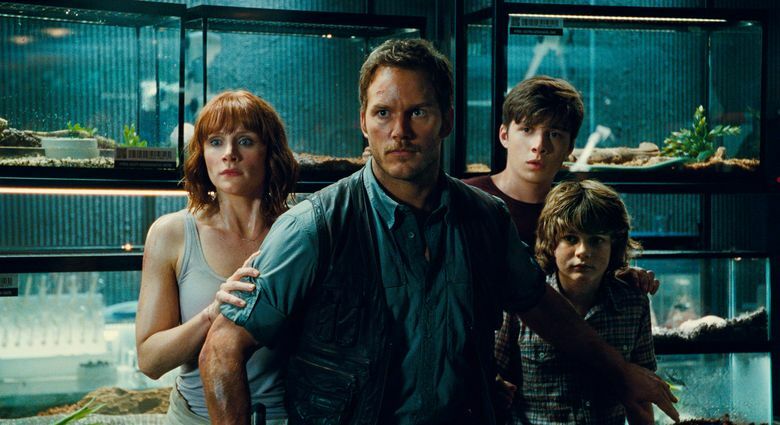 The silly but irresistible fourth film in Steven Spielberg’s T-rex-sized dinosaur franchise, directed this time around by Colin Trevorrow (whose first film was the made-in-Seattle “Safety Not Guaranteed”), “Jurassic World” would have us believe that a crew of very rich and (theoretically) very smart people would build an entire massive theme park around the experience of interacting with actual dinosaurs — and that the dinosaurs won’t hurt anyone because, well, they just won’t. Except for that one time. Or maybe more than once. Anyway, it won’t happen ever again! Pass the money! ‘Jurassic World,’ with Chris Pratt, Bryce Dallas Howard, Vincent D’Onofrio, Ty Simpkins, Nick Robinson, Jake Johnson, Omar Sy, BD Wong, Judy Greer, Irrfan Khan. Directed by Colin Trevorrow, from a screenplay by Rick Jaffa, Amanda Silver, Derek Connolly and Trevorrow, based on characters created by Michael Crichton. 124 minutes. Rated PG-13 for intense sequences of science-fiction violence and peril. Several theaters. Pratt, though he spends much of his screen time staring very intently at the raptors (his relationship with the creatures, as Owen explains to Claire, is based on “mutual respect”), is his usual appealing self here, and he and the CGI crew make the film good popcorn fun. 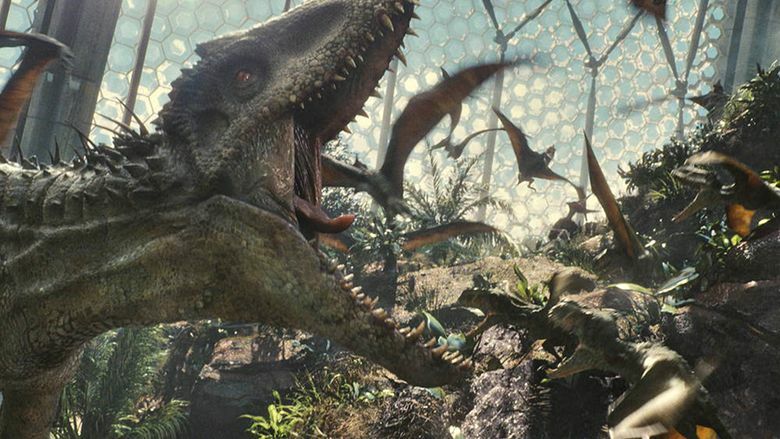 See “Jurassic World” on the biggest screen you can find (for the record, I saw it in IMAX 3D at Pacific Science Center), tune out the screenplay, enjoy the silly chase scenes and swooping camera work, and wonder if this franchise has finally reached its end. As this summer’s disaster movies blur together in my head, I find myself hoping that The Rock might drop by the resort next time, to wrestle a T-rex or two and maybe create a messy love triangle with Owen and Claire. These people, they never learn.